These quick directions are aimed to help you construct a custom Elfsight Countdown Timer and set up it on your website. 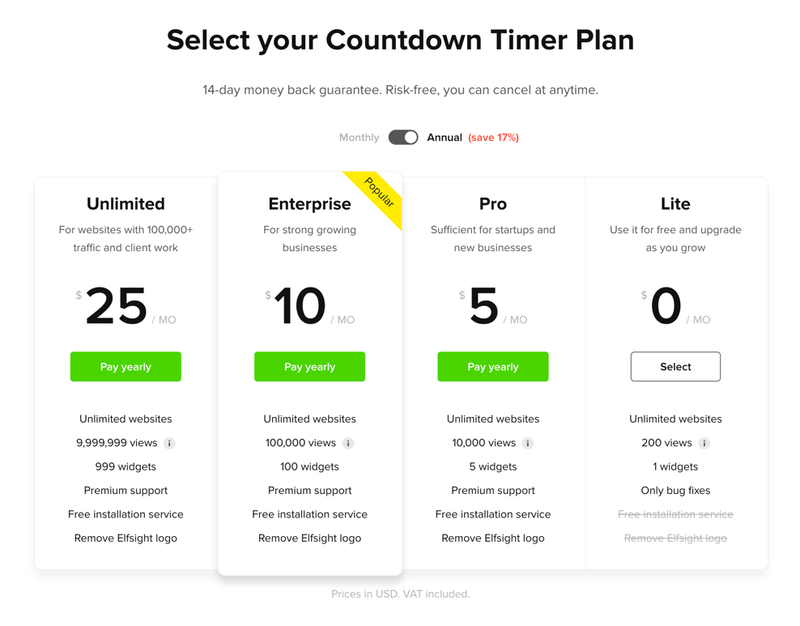 Spend a couple seconds of your time to introduce the best timer widget into your website. 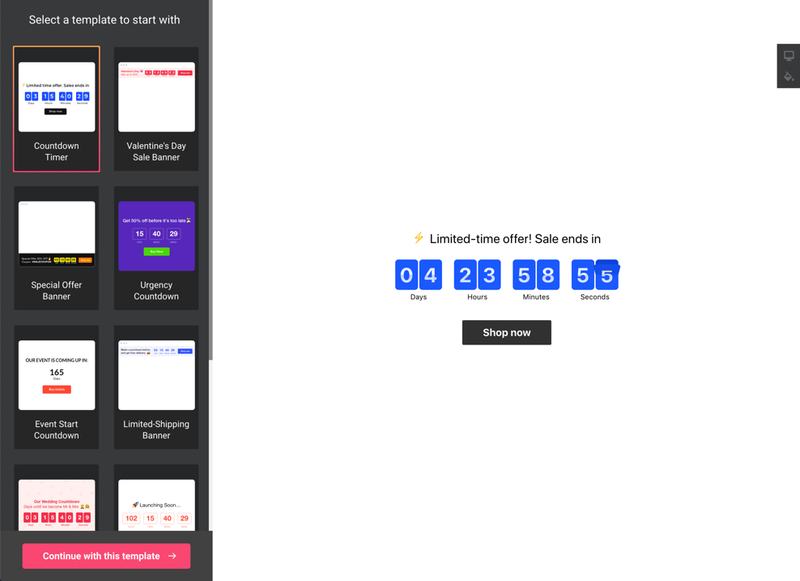 BONUS: Take a chance to build a custom Countdown Timer free now! A short guide for users familiar with the admin panel and able to introduce minor alterations to website HTML code. For more information on each of the stages, extensive descriptions and screenshots, please see the text below. You can as well address customer support and have free help with plugin installation (available for all Elfsight customers). A detailed tutorial for every phase. The 1st phase – design the appearance and functions. There’s a choice of different service plans from free to premium. You can get the one you need. Copy the plugin code which you acquired at Elfsight Apps, for pasting it on the website. The second phase – insert the designed plugin into the code of your page or template. Get logged into your website to reach the editor and bring the required code steps. Enter the page on which you need the plugin or a corresponding template and add the plugin code that you received at Elfsight Apps. Save the change. Following the installation, you can go to your account at Elfsight and apply changes to the parameters or look of the plugin. All the alterations are at once administered automatically. 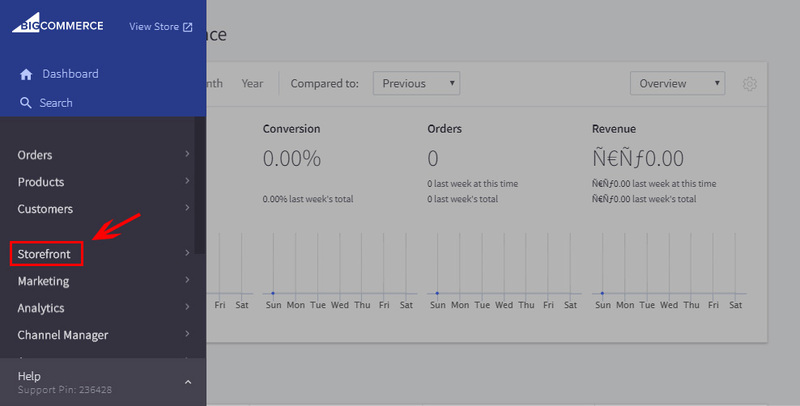 Also see more about the app on BigCommerce Countdown Timer page. 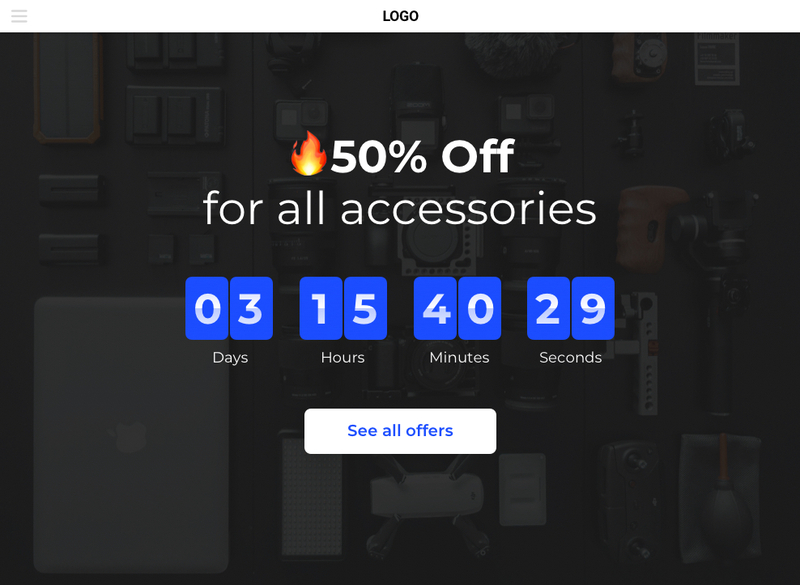 Take a chance to build a custom Countdown Timer free now! Get the taste of our convenient free configurator for fast creation of various widgets.